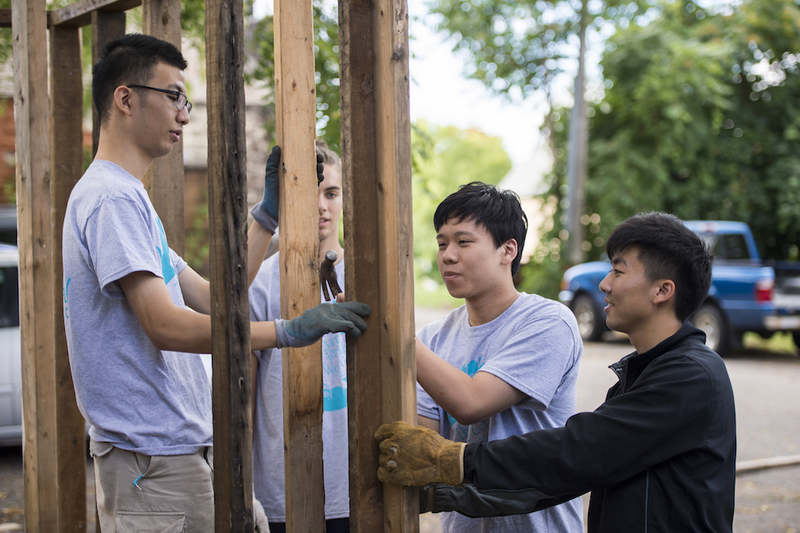 The idea came to Theresa Guenther ’90 in the summer of 1988: What if incoming University students could explore their new city by volunteering for a day of community service as part of their orientation? “I had done a lot of volunteer work my first two years at Rochester, and it had molded my education,” says Guenther, now a state associate court attorney in Buffalo. “I felt it could mold others.” Guenther’s idea was approved by the orientation committee, and a few hundred freshmen signed up for a day of service off campus. But survive it did. On August 27, Rochester will celebrate the 30th anniversary of Wilson Day. More than 1,300 incoming students will fan out to about 90 schools, libraries, senior centers, neighborhood associations, and more across Rochester. They’ll paint, stack bookshelves, rake, pull weeds, and begin to get involved in the community they’ll call home for the next four years. “It’s become a University tradition,” says Glenn Cerosaletti ’91, ’03 (MA), assistant dean and director of the Rochester Center for Community Leadership, which organizes Wilson Day. “It helps students realize that community engagement is part of what being a student here is all about. Students congregate in the Palestra, wearing matching Wilson Day T-shirts (this year’s color is blue). After opening remarks set the tone for the day, the students board buses and go out into the community in assigned groups. Wilson Day is named after Joseph Wilson ’31, former chairman of the University’s Board of Trustees and founder of Xerox Corporation, in honor of his community service. By the time of Wilson’s death in 1971, he and his wife, Peggy, had given more than $40 million to the University and helped launch it into a major research center. Wilson Day was first established in 1972 as a daylong offering of seminars on the River Campus and Medical Center, a dinner at the Memorial Art Gallery, and a concert at the Eastman Theatre. In 1988, thanks to Guenther’s idea, it became much more. Kavya Bana ’19 is this year’s Wilson Day coordinator. As a first-year student, her Wilson Day project was to sort food for Foodlink. It struck a chord in the political science and microbiology double major from Simsbury, Connecticut. 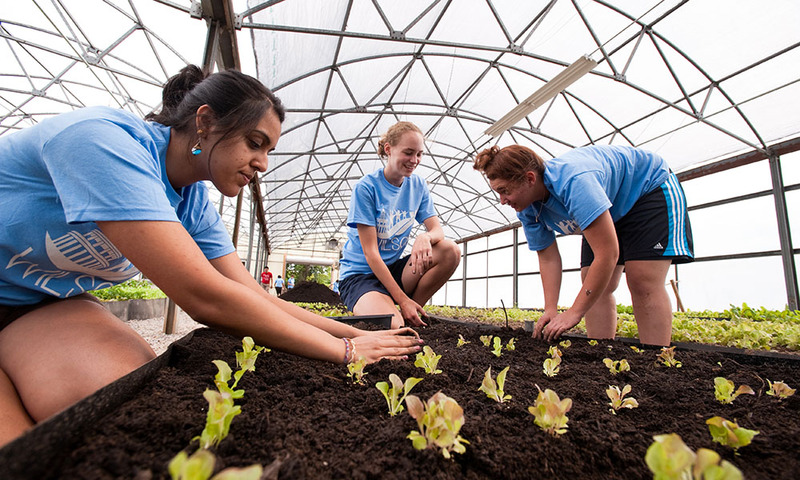 Bana has since worked two other Wilson Days as a resident assistant, organizing a food pantry and gardening. She also began volunteering at a city school, interned at the Rochester Public Market, and was part of Urban Fellows, a summer urban engagement program for Rochester-area undergraduates.